Danbury Kitchen Warehouse sells quality cabinets at affordable prices. We have years of experience and success in the kitchen design and construction business. Leveraging this experience and expertise we help you select a kitchen design that's not only beautiful, but functional - a kitchen that reflects your needs and lifestyle. Clients sharing their experiences about our wide selection and low prices have been our best source of advertising. 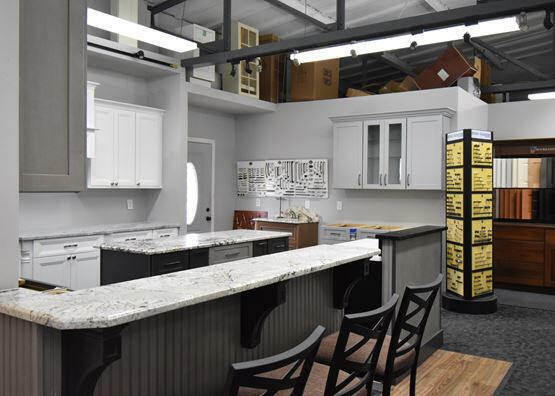 Our fully equipped and up-to- date showroom in Danbury, CT is convenient for those living in Westchester County, the Bronx, Long Island, New Jersey, Dutchess County, Orange County, or Connecticut. Our rapid growth has client satisfaction at its foundation. We consult with you to select and design the right cabinet solution to optimize your space for functionality to make your new bath or kitchen more useful and up-to-date. Through these renovations, you are not only increasing the aesthetic appeal, but also the value of your home. If you are remodeling, we can work with you from the beginning to make sure your cabinets fit with the rest of the room layout and with any new or existing appliances and/or fixtures.